This year I decided to post my Holiday Gift guide a little closer to Christmas than last year. I’ve had a few requests for product reviews but I still wasn’t able to fit them all in! So here, in no particular order is my top 5 Holiday Gifts for the sleep lovers in your life. Whether they’re bad at sleep or great at sleep, these products will help them wake up more rested and feel confident they got an incredible night’s sleep. 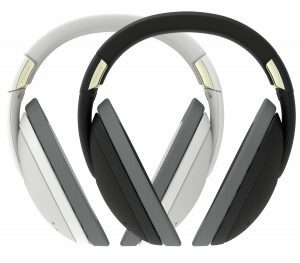 Kokoon Headphones – These are a bit strange (and I have NOT tried them out) but definitely will spark some conversation. Wearing headphones while you sleep is not my cup of tea, but I’m very intrigued and wouldn’t mind trying them. It still seems they haven’t shipped any yet so it will be interesting when they finally hit the market. Pregnancy Pillow or Body Pillows – Yes, I’m serious about this one. I slept with a “Snoogle” pillow specifically made for pregnant women (although that’s a bunch of BS, since anyone can sleep with it) and I still to this day sleep with a large body pillow. If you’ve never slept with one – DO IT. If you have a lot of trouble tossing and turning at night – try sleeping with a huge pillow between your knees. It’s amazing. Seriously. The Muse Pillow – This pillow comes in three different heights or “lofts” as the company calls it. I plan on doing a full review of this pillow since I have been sleeping on it for a few weeks now. The cover of the pillow is actually cool to the touch and the shredded foam inside the pillow makes for a very comfortable and pliable pillow. A great gift for the finicky sleeper! Wink Beds – Now this is a gift that you’ll want to save up for. It’s not super cheap. But from what I can tell, it’s worth it. I still haven’t tried a Wink Bed – but check out their cooling foundation. Seems pretty legit. Slip Sleep Mask – I’ve tried this sleep mask for about 3 weeks. It’s great if you’re a back-sleeper. Not so good if you sleep any other way. The company claims that it can help to keep your skin more moisturized when you wake up – did I notice this? Sort of. I sure didn’t have any “anti-aging” properties happening, but hey – it was worth a shot. A great gift for someone who’s not ashamed to take care of themselves.